According to grief expert Dr. Alan Wolfelt, “even though you may not feel any blessings in your life right now, you are blessed and your life has purpose and meaning. It will take you some time to think and feel this for yourself.” As you go through your grief journey and the hurt that goes with you, Dr. Wolfelt suggests that you may want to consider things that make your life worth living too. When sadness takes over, and it will – finding things to be grateful about can be challenging. But I know even during my sad days, I found that I was grateful for my cat who seemed to intuitively know I needed some snuggling. A neighbor would stop by just to see how I was doing and I did feel grateful and lucky for such a kind neighbor. When work was a struggle, I found people stepped in to help. Was I grateful? You bet, it made the job less stressful. So whether we actually recognize each of these acts with gratitude, I think the world has a way of showing us what we do have in our life. Whether you have a pretty journal or a spiral bound notebook, writing a quick line or two a day about what you are grateful for will improve your overall well-being. The Happier Human blog writes, “Gratitude makes us feel more gratitude. This is why a five-minute a week gratitude journal can make us so much happier. The actual gratitude produced during those five minutes is small, but the emotions of gratitude felt during those five-minutes are enough to trigger a grateful mood. Often when we are grieving a loss we tend to focus on what we don’t have. We focus on the negative rather than the positive. Being grateful for what remains after you have experienced a loss can be a powerful way to deal with, and heal, that loss. Turning your attention on how your life was enriched because that person was in it, for example, rather than on the vacuum the loss created, might be one powerful and healthy approach to confronting grief. 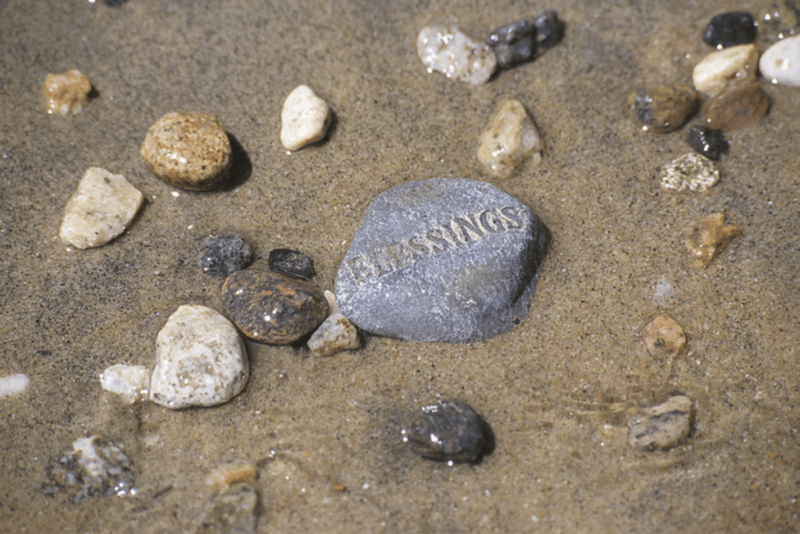 Finding one thing a day to give some gratitude toward is a step in your healing journey. Perhaps your first entry today can be that you are grateful to read an article on gratitude that inspired you to think differently.